Monday, February 11, 2019, 6:30 p.m. The purpose of the public hearing is to accept public comment on the proposed amendments to Chapter 6. The proposed amendments to Chapter 6 can be viewed on our website or it may be reviewed at the Village Hall, 31275 W County Road K during normal business hours (Monday through Thursday, 8:00AM – 4:30PM and Friday, 8:00AM to 3:00PM). For further information regarding the public hearing, please contact Robert Douglas, Village Administrator at 262-367- 2239 . 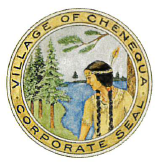 Written comments may be submitted to the Village Clerk-Treasurer until the public hearing is closed. Request from persons with disabilities who need assistance to participate in this meeting or hearing should be made to the Village Administrator with as much advance notice as possible .